WASHINGTON (CNS) – The U.S. Supreme Court has temporarily put on hold a state law restricting Louisiana abortion providers. The law, which was set to take effect Feb. 4, requires doctors who perform abortions to have admitting privileges at a hospital within 30 miles radius of their clinic. Late Feb. 1, the court announced it would temporarily keep the state’s law on hold until Feb. 7. In a brief order, Justice Samuel Alito said the justices needed more time to review the documentation on arguments for and against the law, Louisiana’s Unsafe Abortion Protection Act, which requires doctors at abortion clinics to have admitting privileges at a nearby hospital. In defending its requirement for abortion providers – supported 2-1 by the U.S. Court of Appeals for the 5th Circuit – the state of Louisiana says its law would not have the impact that similar legislation would have had in Texas, mainly because there is no evidence that an abortion clinic would close in Louisiana as the result of the law. 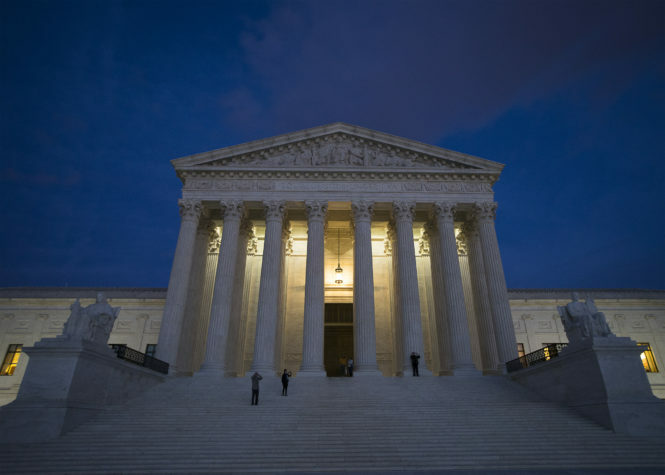 Rachel Morrison, counsel for Americans United for Life, a pro-life advocacy group in Washington, said that for the Supreme Court to put this law on hold while the case is being appealed, there must be a “reasonable probability” that the court will agree to take the case and ultimately find the law unconstitutional. After the Supreme Court’s 2016 ruling that struck down required hospital admitting privileges, similar policies have been struck down or unenforced in Alabama, Mississippi, Oklahoma, Tennessee and Wisconsin. Currently Missouri, North Dakota and Utah have such a law.